Generac Generator Reviews - Are They Worth Buying? Home » Electric Generators » Generac Generator Reviews – Are They Any Good? Generac Power Systems has been in the business since 1959, giving them plenty of time to develop and perfect their technology and transform their name into a trusted brand. Their generators are frequently used products across the country, from home backup generators to portable machines. Generators can be super useful products. They are great tools to own in case of emergency power failures due to natural disasters, or even planned outages from construction. They can also be used in situations where power isn’t readily available, like camping areas and construction sites. Today, we want to take a look at a few Generac generators to give you an idea of the choices you have within this reliable brand. After checking out just a few of their options, you can venture on to review more of their products. Perhaps you’ll even find the one you need below. The Generac 5940 GP6500 portable generator gives you a lot of power to pull on two wheels. CSA approved and CARB compliant, this durable and safe generator is great for your larger power needs. When you need more wattage but prefer the convenience of portability, it can be tough to know where to turn. This Generac model gives you both of those features in one with their 5940 GP6500 product. With 6500 running watts and 8000 starting watts, this gas-powered machine sure does deliver. A convenient handle along with two sturdy wheels lets you take this model anywhere to use at home, on the job site, or during a sizable event. The 389cc OHV engine is built for the long-term, displaying consistent and reliable power over long periods of time. With solid construction and durability, you’ll get a lot of use out of this product. The fuel tank holds 7.2 gallons of gas, which lends 10 hours of run time at a 50% load. Safety features shut your machine off when your oil gets too low, protecting both you and your investment. An hour meter lets you easily read your run time, while the covered outlets stay protected while not in use. A diesel alternative to the other Generac products we’ve looked at, the 6864 model offers a moderate level of power for just the right amount you need for a variety of emergencies, projects, and situations. The Generac 6864 portable generator uses a diesel-powered engine for efficient and reliable power. This engine is built to perform, using industrial-grade materials and air-cooled technology. Since diesel is more reliable, it means there is less work for you and as well as maintenance. The whole package is wrapped together securely using a durable, fully welded steel frame. This frame also makes it easy to life and transport. Using what’s called True Power Technology, this generator offers less than 5% harmonic distortion. This means that all of your electronics, appliances, and tools will run smoothly with no hiccups or lag. The operation is easy using the simple control panel. Everything is labeled, so you can quickly find the voltage switch, the hour counter, and the outputs. It also includes an optional electronic start, although it requires you to purchase a battery. Many consumers frequently asked common questions about products like the ones we have just discussed. 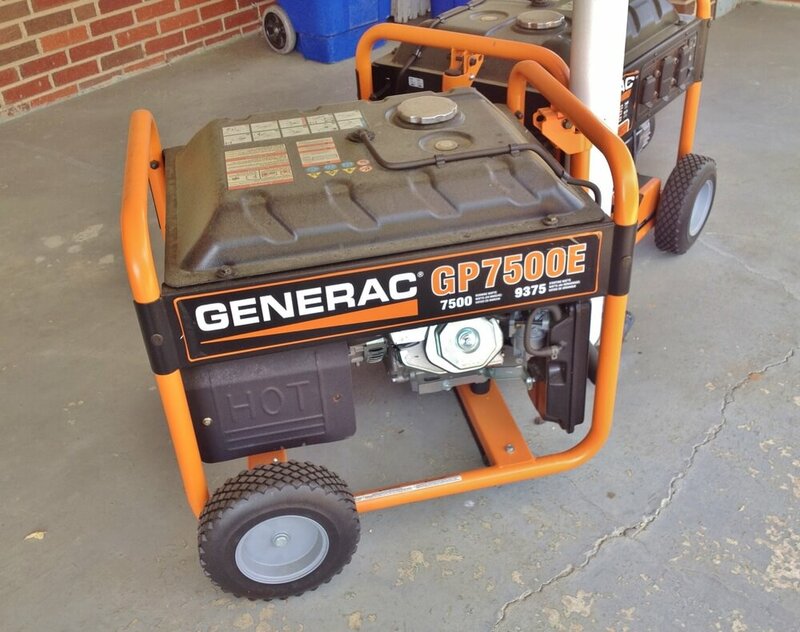 Not all users of Generac generators are experts, so a little help can be a good thing. If you’ve read through our review and find that you still have some unanswered questions, take a look at this FAQ section; you might find the answers you’re looking for! Quiet is a bit of a relative term when it comes to generators. Truthfully, no generator is going to be 100% silent since you are essentially running an engine designed to power multiple other machines. The noise level will be specific to your machine, and its features. Generally, a larger machine tends to produce more noise. A smaller generator (like an inverter generator) will be quieter. Generac companies function out of the United States and Canada, though they do service countries internationally. The answer to this question depends on what you plan on using your generator for. Luckily, the Generac website has a generator calculator that can help you find the best product to suit your needs. Different models use different methods to power their engines. Most Generac models use gas, but some run on propane. Others run on battery power or have the option to switch the battery power. Battery options are useful because you can recharge them, but you will have to purchase the battery separately for these models. Generac portable generators are available for purchase at a variety of online and in-store locations. You can buy any Generac product on the Generac website, but you can also find their products at places like Ace Hardware, Acme Tools, Gainger, The Home Depot, Lowe’s, and many more locations. For a full, comprehensive list specific to your location, use Generac’s online location lookup tool. This page will tell you the closest stores to you as well as give you online ordering options. 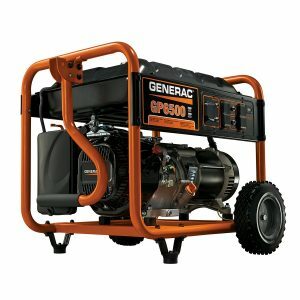 The Generac website has an excellent resource for finding part along with maintenance kits for your Generac generators. Their online product lookup lets you nail down product specifications, manuals, FAQs, and how-to videos. You can also find parts that you need to make repairs. As you can see, Generac is a well-known brand name that has tons of helpful generator products and resources. A generator can be the best solution in emergency situations as well as recreational activities. It can help you run almost all of the appliances in your home during an outage, but it can also serve as a comfort item on an outdoor adventure in the middle of nowhere. You should never be without power when you need it most, and the truth is, you never know when the next outage will be. Generac is dedicated to ensuring its customers have only the best in quality.